DUNEMIS MFG CO. - BE TRUE OR BE T̶H̶R̶O̶U̶G̶H̶. 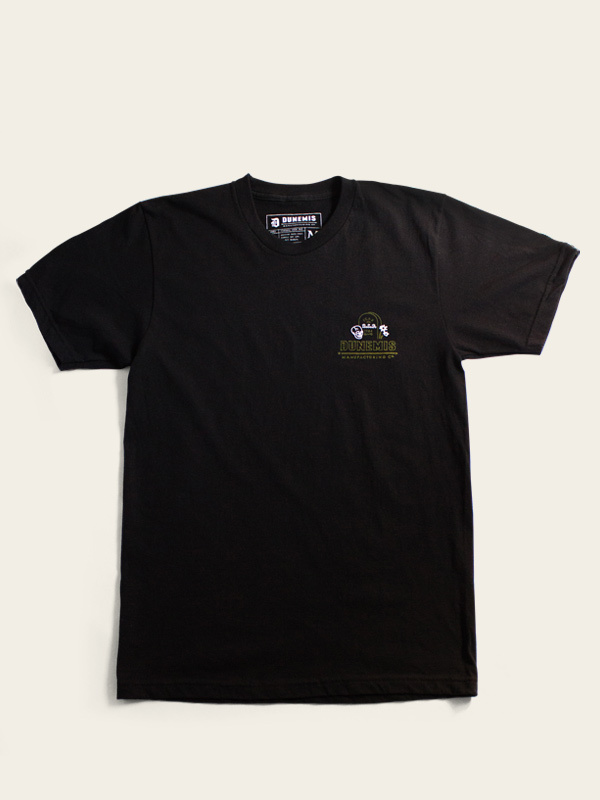 FUNERAL TEE #003 – DUNEMIS MFG CO.
Our Funeral home tee is a daily reminder that we don’t have much time on this earth, so lay that fear to rest and make your dreams happen. Hand printed with discharge waterbased ink that is soft to the touch. 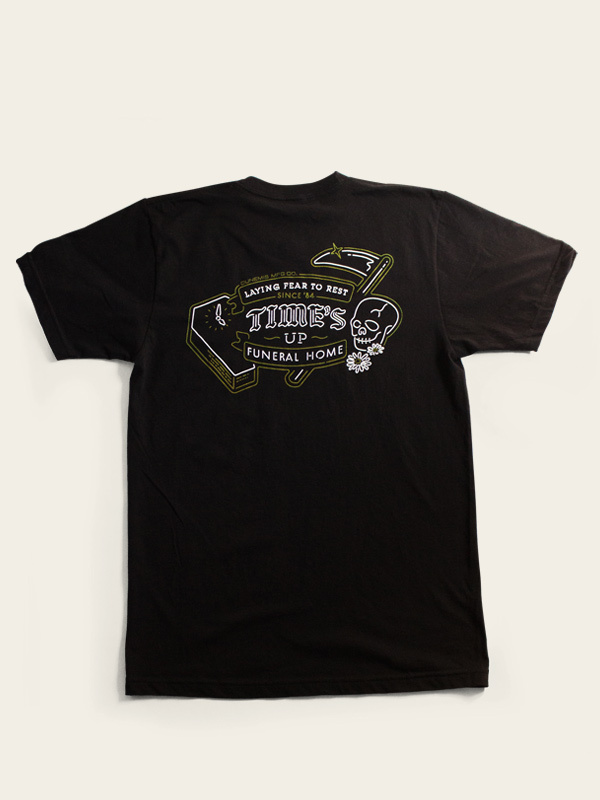 The shirt features a chest and back graphic, hand printed on a 100% combed ring-spun cotton shirt. Printed in limited run of only 25 pieces.